Welcome to our round-up of all the kona coffee reviews on our website. We have separated all the reviews by the types of coffee: Dark Roast, Medium Roast, Peaberry, and also ordered them by ratings. These ratings are subjective, of course. 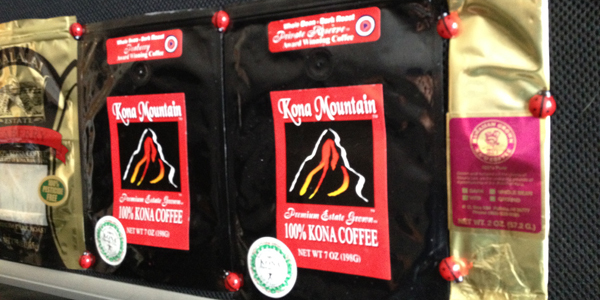 If you are new to kona coffee then feel free to browse this list and read the accompanying full reviews. Or if you want you can work your way through all the coffees until you find one that works for you. This coffee is actually my pick for the ‘best kona coffee‘. The estate roast is a mixture of the top three grades of kona coffee: extra-fancy, fancy and peaberry. The result is a flavorful, nutty coffee that is likely the smoothest coffee you’ve ever had. Click here for the full review. Update: Starbucks’ Kona Coffee is sold out and not available anywhere. We will update this when it becomes available again. Ranked #1 on our list of the “Best Peaberry Kona Coffees”, Koa Coffee’s Peaberry coffee is unbelievably smooth and makes for the perfect after dinner coffee for you and your friends. Pairs well with anything sweet, especially lemons. Click here for the full review. Ka’u coffee has been gaining recognition as a premium coffee region. The district directly south of Kona has become an award winning coffee region in its own right. Rusty’s in particular has won Europe’s Specialty Coffee Assocation award for outstanding producer. And it’s hard not to like this coffee: a sweet aroma and a chocolatly taste that makes for a wonderful early afternoon coffee (paired with a chocolate treat of course!). Click here for more info.